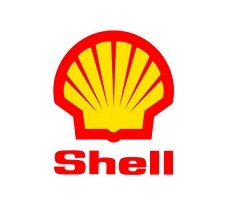 Sun Oil Limited is the Shell licensee for The Bahamas and Turks & Caicos Islands. It is an integrated energy supplier providing a complete range of quality petroleum products and services to retail and commercial sectors across a wide range of industries. Through its network of depot facilities across the country, it remains close to the customers and communities it serves. Sun Oil’s commitment to efficient, environmentally-friendly solutions and corporate social responsibility advances its mission to Fuel Growth for People. Freeport Oil Company Limited (FOCOL) was formed in 1967 by the Grand Bahama Port Authority Limited (GBPA) as a distributor of petroleum products in Freeport, Grand Bahama and was acquired by FOCOL, a group of Bahamian investors in 1982. 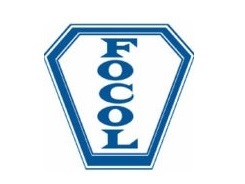 Since then, FOCOL has progressively expanded its operations in Grand Bahama to include LPG (Propane) Distribution and Retail Petroleum Operations. 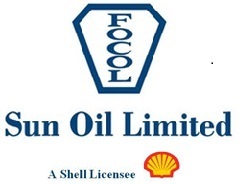 In January 2006, with the acquisition of Shell Bahamas Limited, FOCOL extended its retailing and bulk petroleum distribution businesses throughout The Bahamas and the Turks & Caicos Islands under the management of a new FOCOL Holdings subsidiary – Sun Oil Limited. Sun Oil Limited has emerged as an integrated energy supplier with unique capacity and capabilities to help businesses succeed. Sun Oil markets Shell Quality Fuels and Lubricants which are trusted globally to power and protect the most sophisticated vehicles, machinery and equipment. Liquefied Petroleum Gas (LPG), commonly referred to as propane, is also among the products marketed by Sun Oil. In 2012, the plant was expanded and the latest automation technology deployed to create a modern facility with the largest storage capacity in the country. Its world class terminal operations include six fuel depots throughout The Bahamas and the Turks & Caicos islands, a fleet of tanker trucks and coastal tankers, and seasoned industry professionals to deliver high quality products to our geographically diverse customer base – on time, every time. Sun Oil takes pride in its reputation as a good corporate citizen. Sun Oil avidly supports Bahamian culture and is proud to be the longest, most consistent corporate sponsor of Junkanoo through its support for the acclaimed Shell Saxons Superstars. Through our investment in education and numerous national development initiatives, Sun Oil is helping to create a better future in its communities.